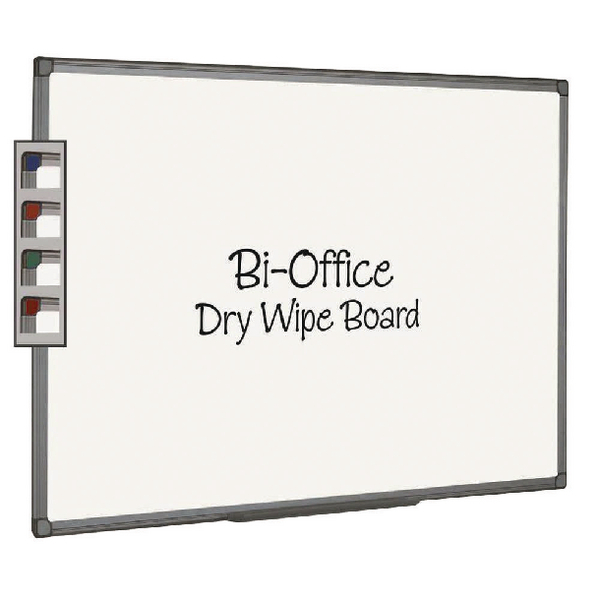 Bi-Office Aluminium Finish Drywipe Board 1800x1200mm MB8512186 – BQ46851 – OfficeYoo! The smooth writing surface is double-sided, so if one side becomes marked simply unmount it from the wall and flip it over to get a brand new board. The aluminium frame features a choice of plastic corner caps in various colours to match any decor. There’s also a clip-on pen tray so you’ll always have a marker pen handy. This Whiteboard measures in at an impressive 1800 x 1200mm, making it the ideal accompaniment to offices and workplaces of various sizes.